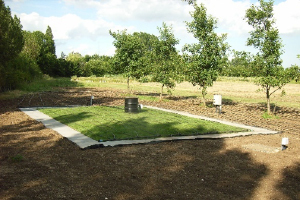 Over the last year, I had heard a lot about soil management from a structural and conditioning point of view. This course was different. 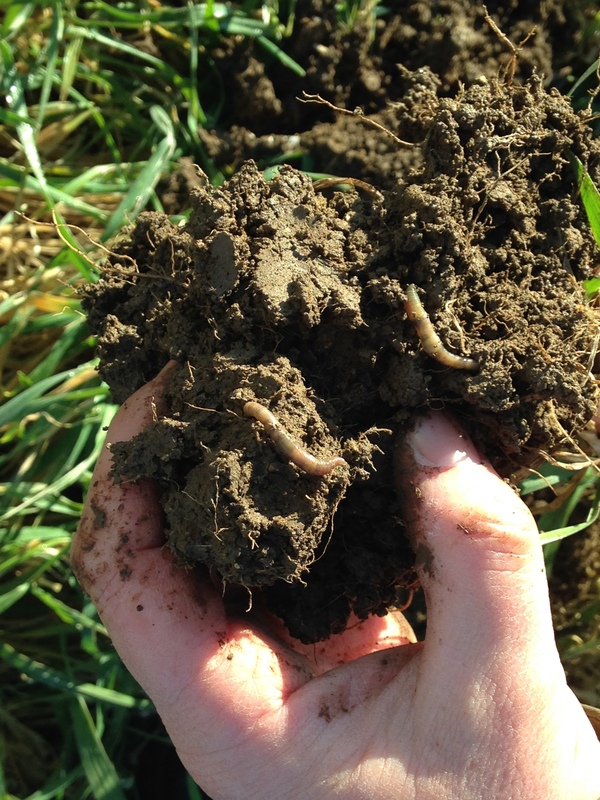 What appealed to me was its focus on the science behind soil management – the ‘why’ rather than the ‘how’. 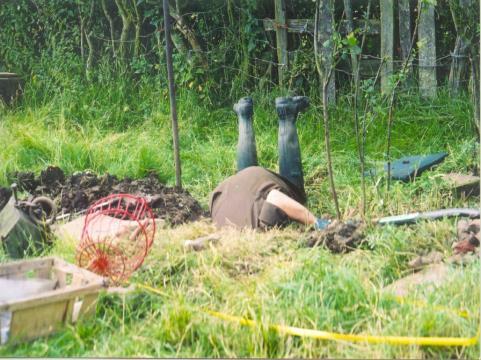 I thought I knew quite a bit about soil but this took me to quite another level! It really drilled down into the specifics, looking at the soil profile in terms of bacteria, fungi, microscopic species and how different cultivation systems effect the biological diversity of the soil. Another key focus of the course was soil organic matter. 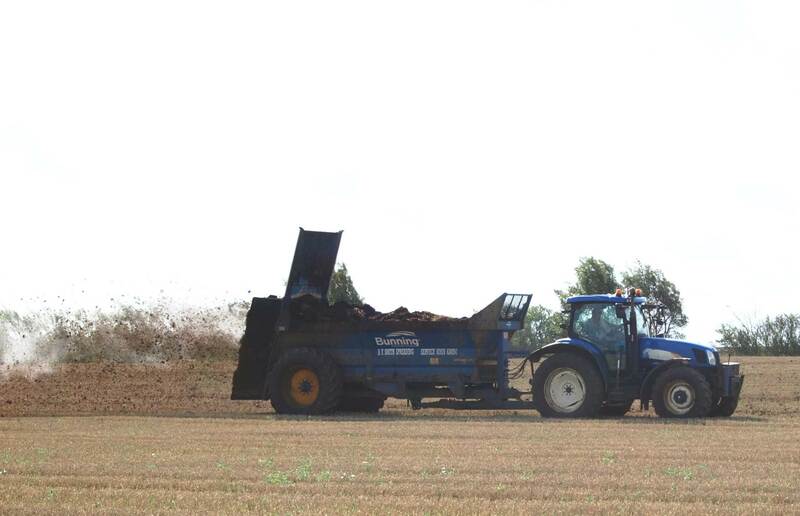 As a business, we apply a lot of organic manure and it was great to get a more in-depth perspective on what benefits this has and how to optimise its use. For example, we learnt how carbon provides energy for the soil biology to work off and how organic manure can improve the porosity of the soil by opening up structure. The course really made me think about how we could target our organic manure applications more accurately and start to build a better picture of how our fields are performing through, for example, mapping particular zones in fields and correlating this with percentages of soil organic matter and yield data. I have also been thinking about our cultivations and the importance of continually questioning whether we are doing the right thing. 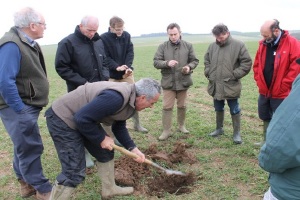 For example, we talked about the environmental and cost benefits of a direct drilling system to maintaining the diversity of soil biology which could, in turn, reduce cultivations as the soil is much easier to manipulate. This ‘attention to detail’ approach is all part of LEAF’s Integrated Farm Management so it was good to focus in on specifics. With some 90% of food produced globally being grown from the soil and two thirds of global food production lost to pests or disease, it is our job as farmers to ensure we protect, nourish and enhance this precious resource, now and for future generations. I look forward to building on the insights, knowledge and expertise I gained from this hugely valuable training course. 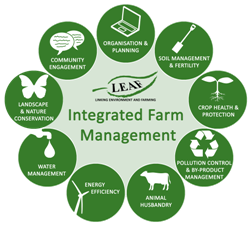 LEAF provides practical guidance on sustainable soil management, based around the principles of Integrated Farm Management. Click here to find out more. 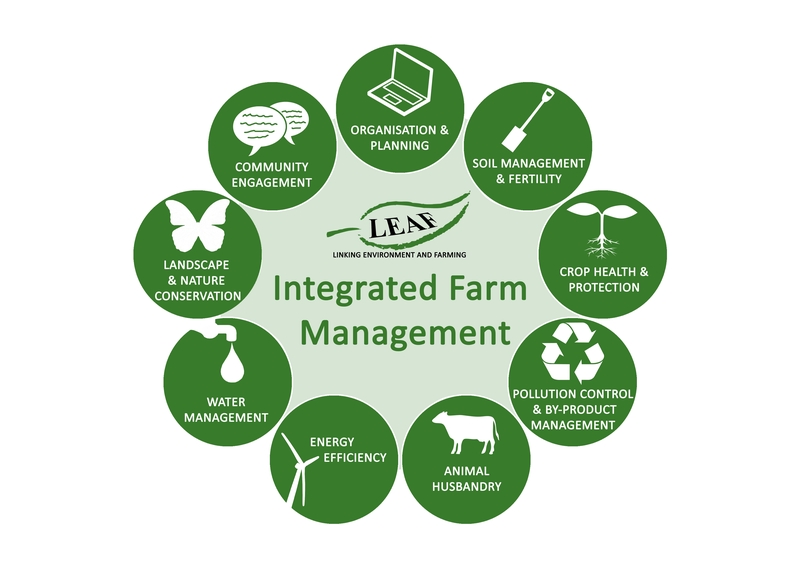 For the last 25 years, LEAF has been at the forefront of developing and delivering Integrated Farm Management (IFM). Last week, we held our first IFM conference which highlighted some of the latest research and thinking into IFM and its practical applications. 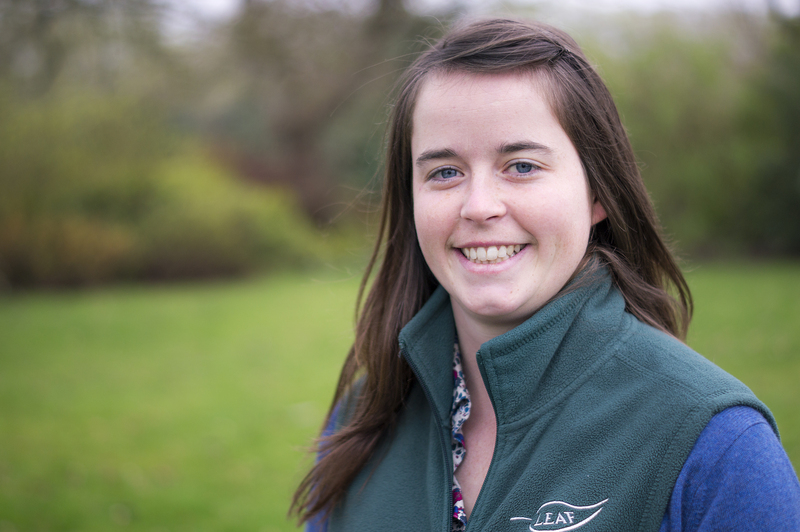 Here, Alice Midmer, LEAF’s IFM Manager, reports on highlights from the day and reflects on what the key challenges will be for Integrated Farm Management as LEAF embarks on its next 25 years. Farming systems are dynamic. 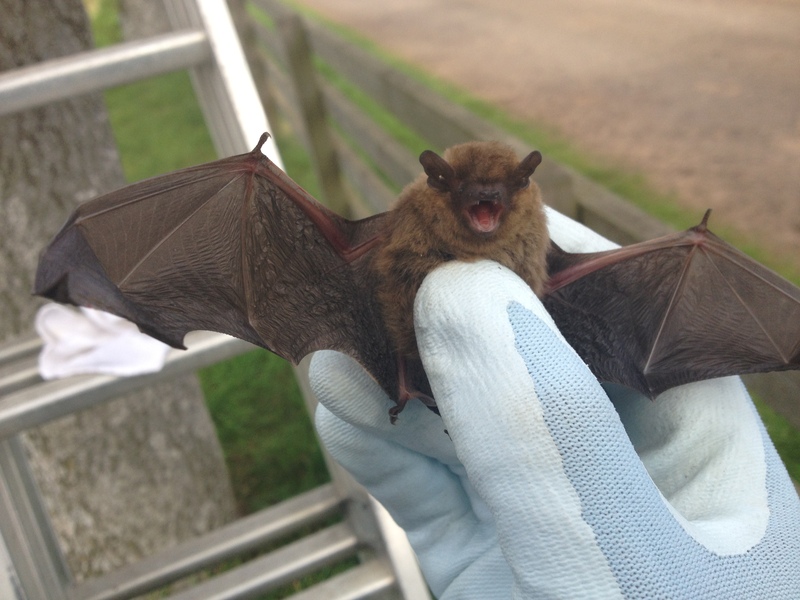 They are continually adapting to ecological, environmental and social conditions, while achieving greater production and resource-use efficiency by the application of science and technology. Key to driving forward change and continual improvement is sound science firmly rooted in practical application out in the field. 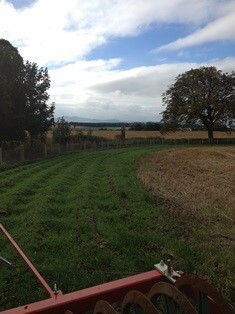 Our network of Demonstration Farms and Innovation Centres make this happen. 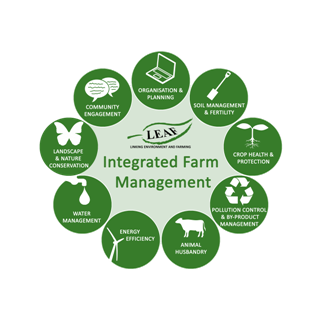 Currently we have eight Innovation Centres, each offering unique insights into a particular area of IFM, covering, for example, sustainable crop production systems, dairy management, grassland livestock systems, energy efficiency, water friendly farming and biodiversity conservation. 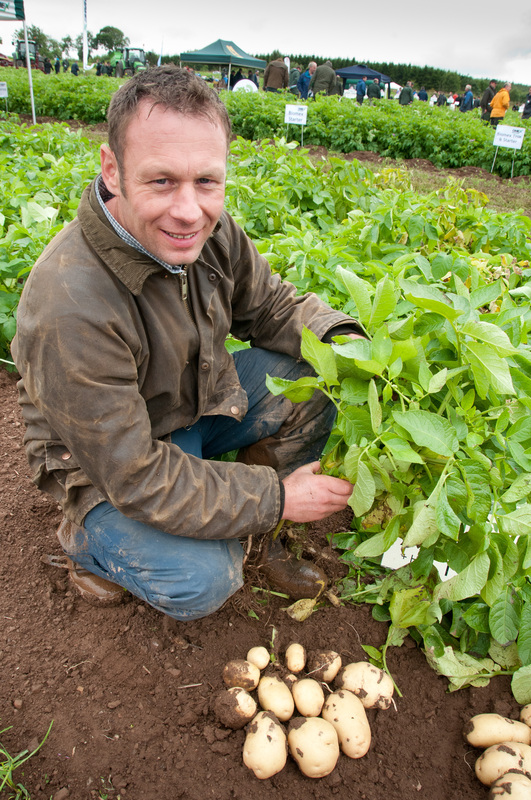 This research feeds into our Demonstration Farmers, which in turn, is shared amongst the wider farming community. 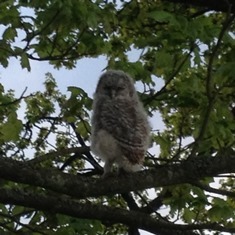 This continual cycle of knowledge generation and exchange ensures IFM remains reactive, flexible and responsive. It was a privilege last week to bring together our Innovation Centres and Demonstration Farms to consider how IFM has developed, highlight the research work being carried out and hear from three of our Demonstration Farmers about how they make IFM work on their own businesses. 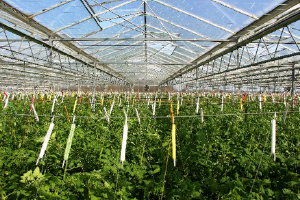 From our Innovation Centres we heard how LED lights could be used in the glasshouse sector to provide the ultimate growing conditions to maximise growth, plant quality, nutritional value and help to eliminate pesticide use. We were told how drones are increasingly being used to take aerial pictures of crops to monitor and map areas using true colour, multispectral and thermal images, with data being used to improve yields. 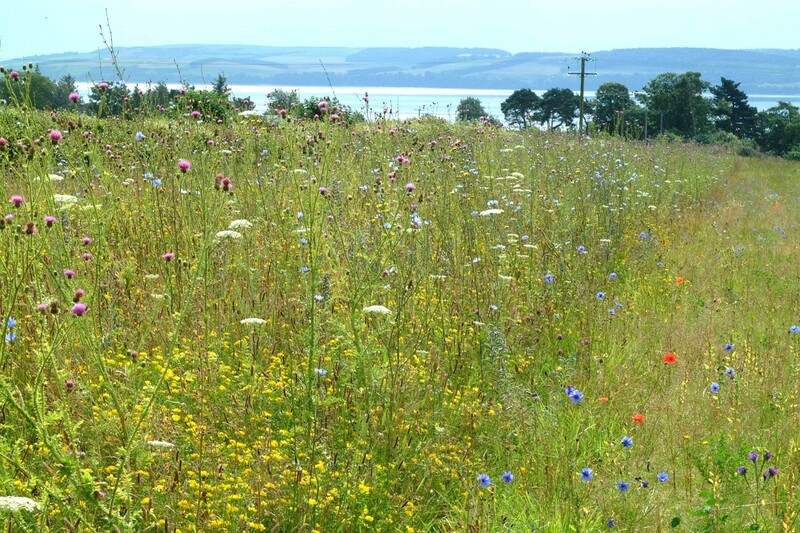 We learnt how biobeds and phytobacs could help to reduce the environmental impact of agriculture, the benefits of cover crops to farmers as well as wildlife and about selective dry cow therapy to help treat cows most at risk of mastitis. 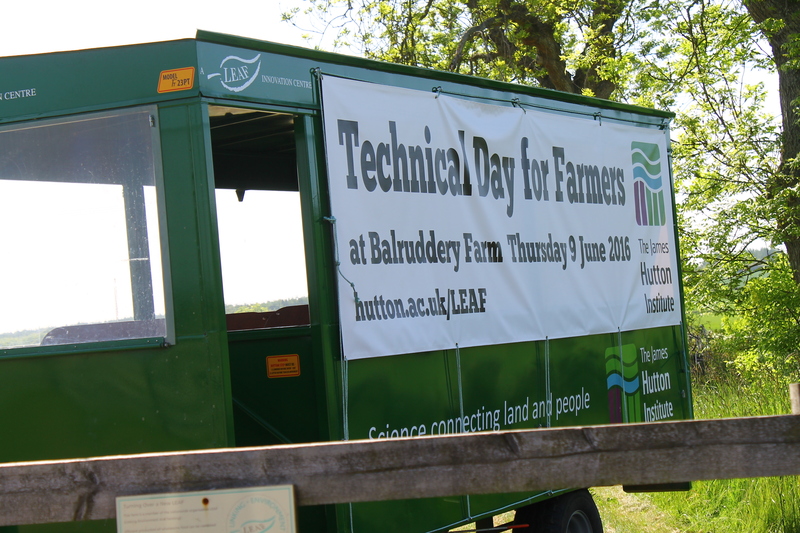 It provided a fascinating overview of the scale and diversity of research being undertaken and a reminder of the scope of IFM and its application across all farm sectors. 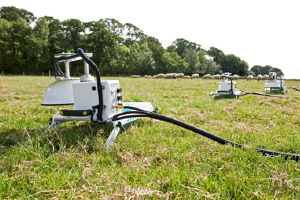 How farmers who are working with IFM at the sharp end are making these innovations work in practice was provided by three of our Demonstration Farmers. Richard Kooijman, Production Manager at Eric Wall Ltd, one of the largest tomato nurseries in the UK highlighted how the principles of IFM help to guide many of the day to day management decisions including Integrated Pest Management strategies to control fungal problems, use of thermal screens to reduce carbon emissions and how the implementation of progressive staff incentives and flexible hours contracts are key to growing the business. 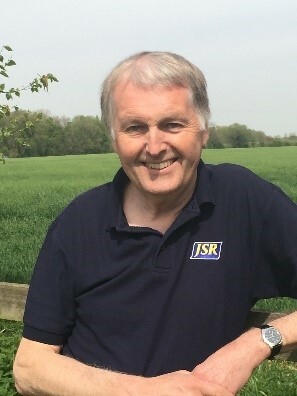 Chris Baylis, Head of Farming and Estate Manager at Sir Richard Sutton Ltd in Lincolnshire and Berkshire described how the use of direct drilling, combined strip tillage, minimal cultivations and rotational ploughing were all helping to drive forward the estates determination to increase its environmental profile, reduce energy consumption and improve soil health. 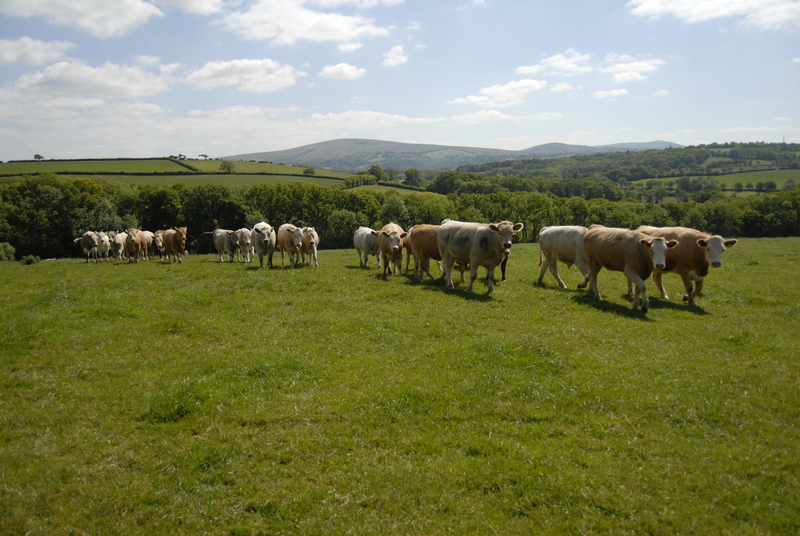 The attention to detail demanded by an Integrated Farm Management approach was highlighted by John Renner, owner of North Belshill and Amerside Hill Farm in Northumberland and LEAF Marque producer. He told us about tailoring specific management techniques to improve soil management and fertility and enhance biodiversity, through for example, non-inversion tillage techniques, creation of no nitrogen and limited grazing areas, good record keeping, grass margins and sensitive hedge management. LEAF is at an exciting and important juncture. As we look ahead and build on our core objectives and vision, it is clear that IFM offers farmers a powerful framework to meet challenges of population growth, climatic pressures and an increasingly demanding public. 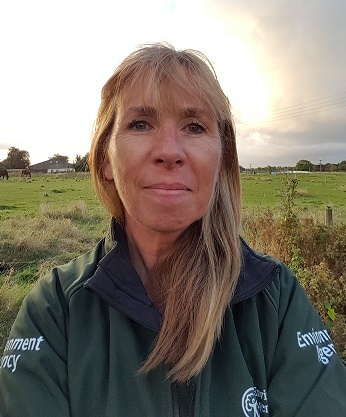 One of the main messages coming out of our first IFM conference was that ensuring the practices and developments of IFM continue to evolve, will call for joined-up research that takes an ecological approach, responds to people’s real needs and respects farmers’ know-how. There are huge challenges ahead for farmers, but with the expertise, knowledge and experience within LEAF’s Demonstration network, the future looks full of potential. Click here to see photographs from the conference. For more information on the individual talks and research look out for the IFM bulletin going out to members next week. If you have heard Caroline Drummond speak you may well have a) seen the photo below (it’s her favourite) and b) will hopefully remember it as a visual representation that, here at LEAF, we love a bottom-up approach! But what does this really mean? If we take ‘more sustainable farming’ as our ‘highest conceptual level’ then two of the most recent projects I have been working on are fantastic examples of ‘the details’. The first is our involvement with Innovative Farmers. 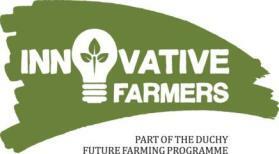 We are really pleased to be partners in the new and exciting Innovative Farmers programme. 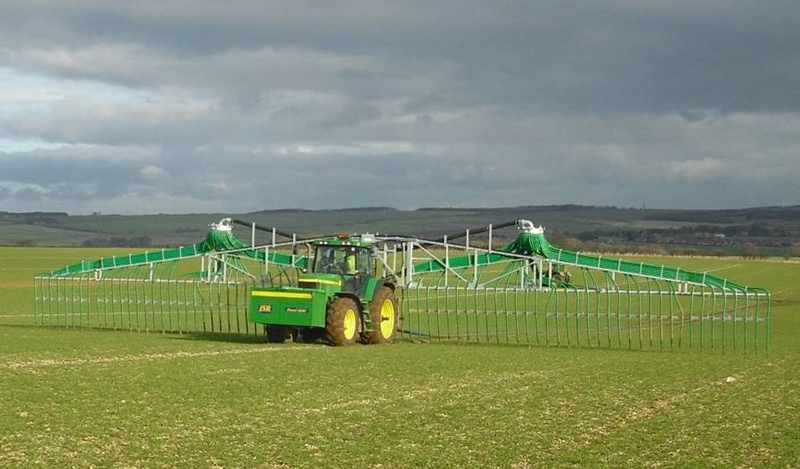 Many of the best ideas come from farmers who trial, test and analyse on their own farms. 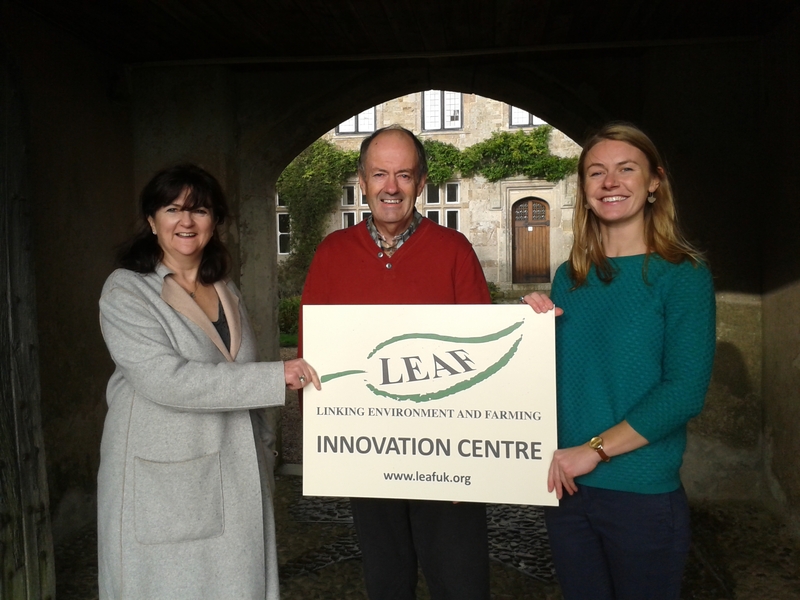 We know that LEAF farmers are often at the very cutting edge of this technical development and we are keen that these results are captured and harnessed to enable others to benefit and the industry as a whole to move forward. 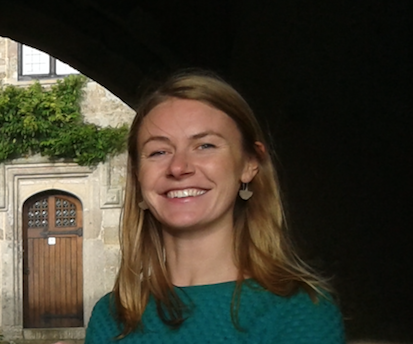 Innovative Farmers is a not-for-profit network that matches farmer groups with some of the UK’s best research teams. It provides professional support, a web portal where groups share their learning, and access to a dedicated research fund. At the heart of the network are ‘field labs’, where farmers meet in small groups to test and develop new ways of tackling a shared problem or opportunity. Until 15th December, there is an early bird discount to join and following this, all LEAF members will continue to receive a discounted membership. 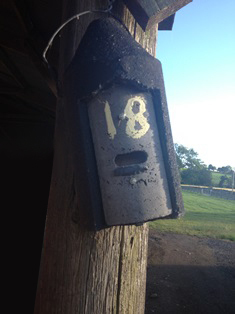 Click here to register as a LEAF member. Innovative Farmers is an exciting network and a great opportunity to join-up and optimise the output from research happening all over the country. 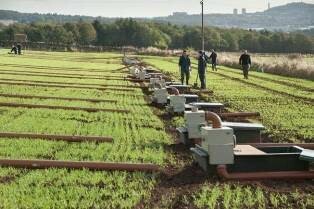 Farmer led research and learning is not new however, and has been at the heart of LEAF since its inception, through the LEAF Demonstration Farm network. 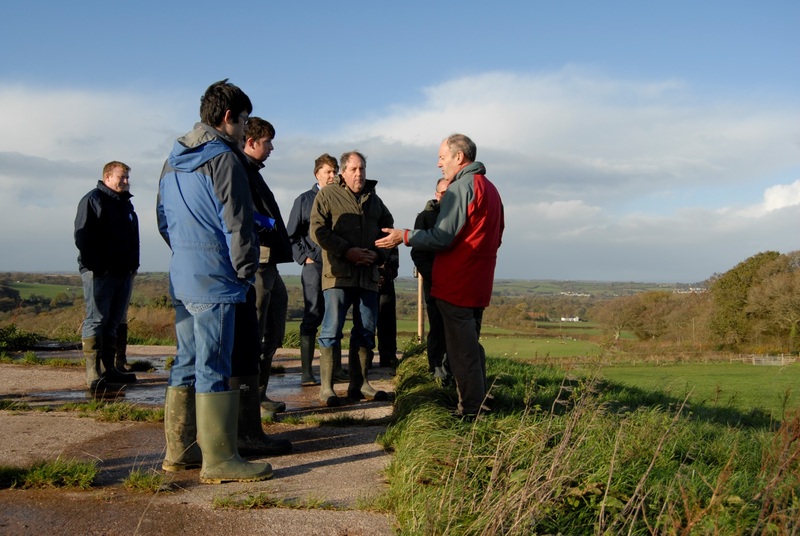 As well as innovation and Integrated Farm Management, good communication skills are crucial to the LEAF Demonstration Farm network. In this vein, LEAF developed the Speak Out communications training package a number of years ago to help develop and enhance farmers’ communication skills. This autumn, Speak Out was back. The sessions saw both new and established LEAF Demonstration Farmers gather in the sunny cart shed at LEAF Demonstration Farm, Crowmarsh Battle Farms for a refresher training day with the ever enthusiastic Susie Emmett of Green Shoots Productions Ltd.
Good communication is imperative and innovative farmers need to have all the tools in the box to spread their messages to other farmers, the industry and consumers alike. 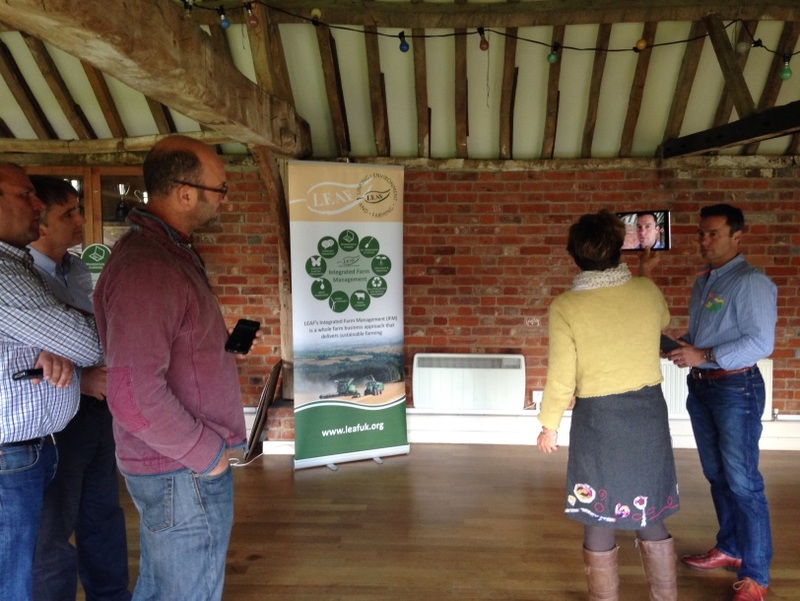 Farmers and representatives from nine different LEAF Demonstration Farms took part in a fantastic day that ranged from ‘planning a presentation that packs a punch’ to ‘movie making with messages that matter’. 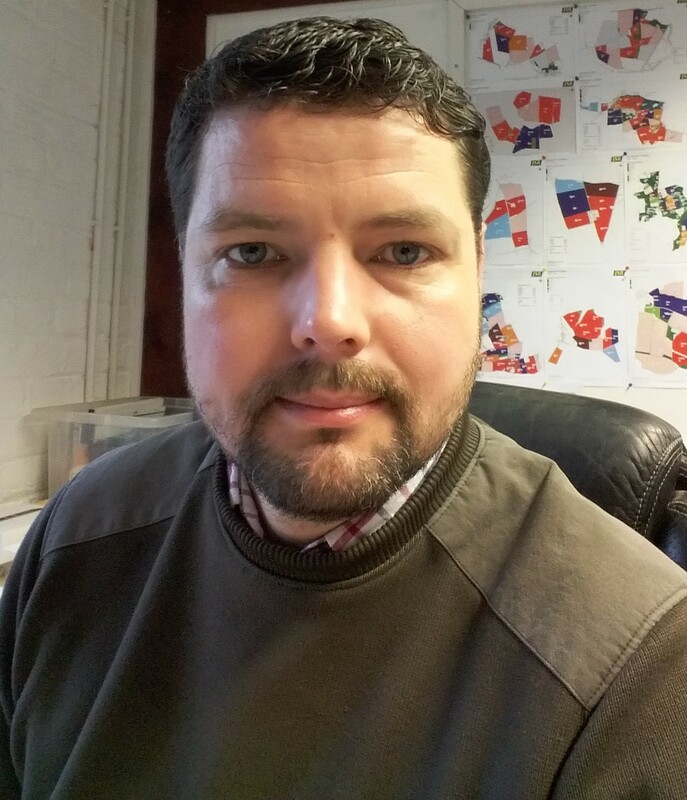 ‘Making the most of your online presence’, ‘harnessing the power of social media’ and ‘taking farm visits to the next level’ were also covered in a jam packed day. Attendees included established LEAF Demonstration Farmers, keen to refresh their skills, pick up tips from other farmers as well as learn more about newer and increasingly important avenues of communication. Newer recruits at larger LEAF Demonstration Farms also attended to develop skills to help them better communicate their farm’s message to the wider community. All appreciated the importance of staying engaged and up-to date with different communication methods and how and why to make best use of them. From my point of view, any opportunity of getting LEAF Demonstration Farmers together always makes for an inspiring day and this was no exception. With this in mind, part of LEAF’s contribution to the Innovative Farmers programme will be Speak Out training. The partners recognise that effective communication from the coordinators and researchers will be an important component of the success of Innovative Farmers. Ready communication from the farmers involved along with a willingness to share challenges and problems will ensure the programme contributes to the progress of the industry as a whole. So there you have it: Promoting and enabling farmers that are Innovative and Communicative are two big details that form part of LEAF’s bottom-up approach to delivering more sustainable farming.